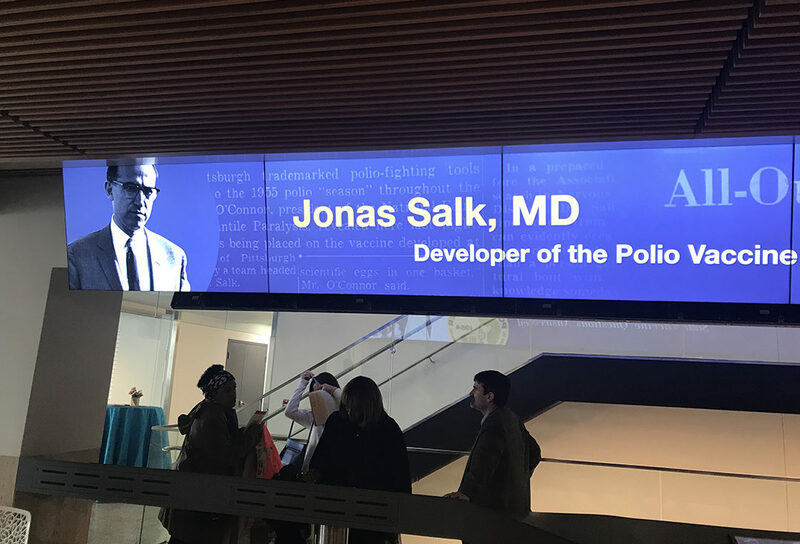 Friday, April 6, 2018 marked the dedication of the tribute wall featuring five Pitt medicine pioneers. The tribute wall is a multimedia exhibit in Scaife Hall at the University. The exhibit is located adjacent to the student lounge space and School of Medicine Admissions Office. The exhibit highlights the contributions and transformative discoveries by Maude Menten, Jonas Salk, Bernard Fisher, Thomas Starzl and Peter Safar. All five pioneers spent parts of their careers at Pitt and have influenced the medical field greatly. In addition to a video highlighting all five pioneers, the exhibit includes interactive touch screens that allow visitors to dive deeper. Thanks to the vision and dedication of Dr. Levine, the Senior Vice Chancellor for the Health Sciences and Dean of the School of Medicine, we were able to realize this tribute wall as part of renovations to Scaife Hall. 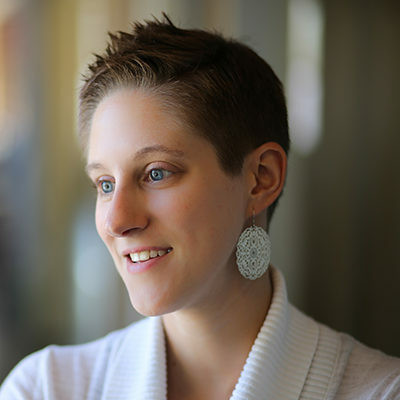 Levine was originally inspired by The Segregated Lunch Counter and Panorama of the Civil Rights Movement exhibit at the African American History Museum. The exhibit allows for multiple levels of engagement at the individual level and from a distance. Because the space in Scaife Hall is not a traditional gathering space, drawing on multiple levels of interaction felt like an appropriate solution. We worked closely with Richard Lewis Media Group to develop the concept for the exhibit and they produced the content.